Meredith Essex was born on April 22nd in 1959 and grew up in Seattle within an extended family of artists—her father is also represented on this site. Her early years were spent both in western Washington, where she resided, and in eastern Washington, where she visited her grandfather in the summers. 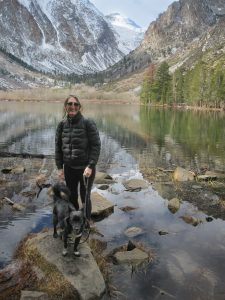 Time spent outdoors with her family along the stream corridors and lakes of the Cascade Mountains and the dry hills and canyons along the Snake River sparked a life long fascination with the landscape—mountain, forest and plateau. Meredith received a Bachelor’s Degree from University of Puget Sound in 1981. She has exhibited her paintings and drawings in venues throughout the region for over 25 years. 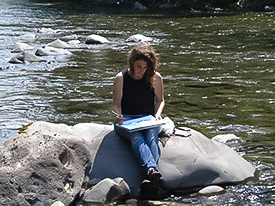 She has spent many hours studying place, weather, and the effects of change in the natural world and has developed artwork ranging from representational to abstract that has grown out of a foundation of observational drawing. The spaces in nature that appear in her paintings are often forests tangled in layers of space where the world beyond is only a distant sparkle of light or extreme barren places where harsh contours and shadows dominate. Her landscape paintings can have metaphorical or spiritual references. Sometimes too, her landscapes become architectural passageways, or tapestries of interlocking elements. As a teaching artist and mentor, Meredith has inspired many diverse people to discover their creative selves and find confidence in making and teaching art. She also has written arts curriculum materials for museums, school districts, and arts commissions and has worked with youth to create public art. Meredith currently lives in Port Orchard, Washington with her daughter and husband. 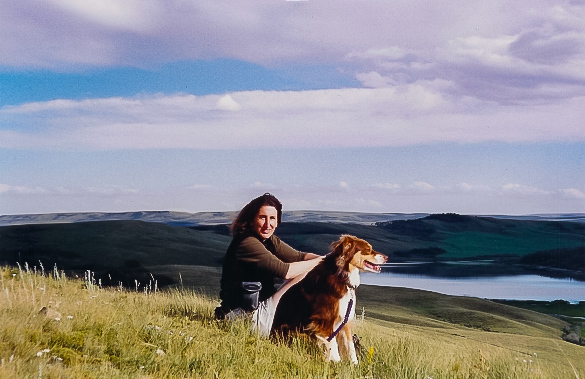 Her passions include gardening, literature, equestrian sports, snow skiing, hiking, camping, and back roads travel. For any inquiries, including prices and availability, please contact Meredith using the contact field below.